Description: Client’s father was killed, while riding a motorcycle, by a pizza delivery driver making a left turn in his path. $1,500,000 was recovered from the pizza franchise and $15,000 (minimum policy) was recovered from the driver. Initial offer: None prior to litigation. Description: Client was a passenger in a car that was rear-ended by a bus. Client incurred significant injuries and ultimately had neck surgery. The case resolved after extensive and lengthy litigation. Initial offer: None prior to litigation. 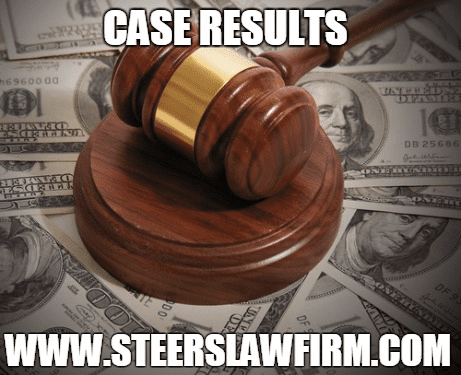 Description: Client lost assets due to the wrongful actions of third parties and suffered emotional distress. Damages were awarded after the trial was held. Description: Client was stabbed outside of a restaurant. The restaurant was required to have security but failed to hire any. Numerous expert witnesses were able to corroborate the client’s serious injuries as well as the basis for the landowner’s liability. Initial insurance company offer: $5,000. Description: Client lost money due to a notarization by a major bank’s employee that was done without his knowledge or permission. The case was settled against the bank on the eve of trial after extensive litigation. Description: Client was injured when an employee at a major retailer accidentally knocked a shelf onto the client’s leg, causing her to fall and suffer injuries. The case was settled shortly before trial after extensive litigation. Initial insurance company offer: $0. Description: Client was attacked by an MTA bus driver resulting in torn knee ligaments and a broken nose. The MTA argued that the client was responsible for the incident. Description: While visiting a private outdoor recreational facility, the client suddenly felt her right foot collapse through the ground, causing her to fall and fracture her right ankle. Through litigation, it was determined that the operator of the facility had not properly maintained the area of the fall. Initial insurance company offer: $5,000. Description: The client was a pedestrian crossing an intersection when she was struck by a car driven by an elderly gentleman. Initial insurance company offer: $20,000. Description: Client was a passenger in a car that collided with a CHP vehicle that was attempting to engage in a traffic break in rainy conditions. The client’s car became disabled in the middle of the freeway and was then struck by two other vehicles. Initial offer: $15,000. Description: Client’s car was struck by another driver who ran a stop sign. The other driver’s insurance company claimed that client was partially responsible for the accident and disputed the severity of the client’s injuries. Initial insurance company offer: $9,500. Description: Client was a passenger in a car that collided with another car, resulting in significant injuries. A lawsuit was filed in order to purse the best possible recovery. Initial insurance company offer: $20,000. Description: The client was driving a car which was “t-boned” by another car that ran a stop sign. The client’s car was totaled while the other car did not suffer extensive damage. The other driver was not driving at a high rate of speed. Final insurance company offer: $16,000. Arbitration Award: $40,000.